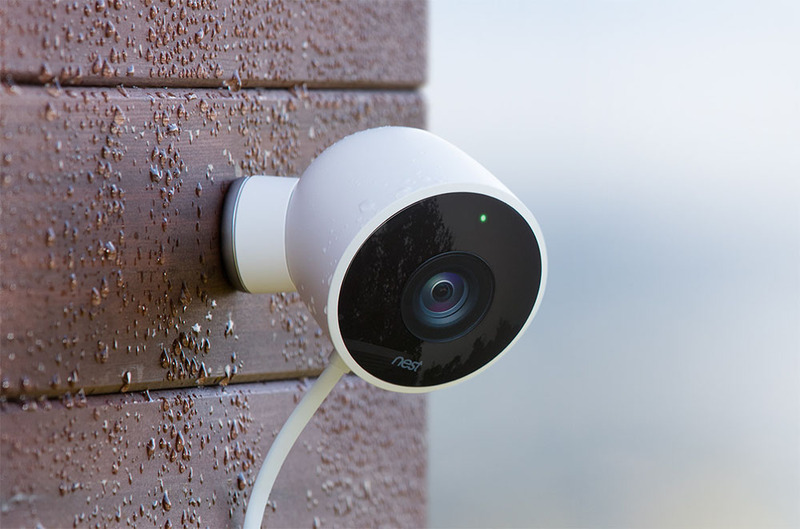 We’re barely a month removed from Tony Fadell’s exit at Nest and the company is pushing out its first product, the Nest Cam Outdoor. As the name suggested, this is the outdoor Nest Cam that customers have been begging the smart home product maker to release. At $199, the Nest Cam Outdoor is very much a Nest product, but yet also your typical outdoor camera. It shoots 1080p video, can see in the dark, is weatherproof at IP65, connects via WiFi, sends you notifications when it notices movement or hears noise, and needs to be plugged into an outlet 24-7. So what’s different about Nest Cam Outdoor? For one, it’s another Nest product, so if you already have other Nest products, this will slot right in with the rest, which means it’ll show up in the Nest app. It’s also supposedly easy to install and does so via magnets in many situations. Nest suggests that you just attach this little guy to a metal surface, plug it in, and then start monitoring your home. You can attach it to other surfaces as well. And that’s pretty much it. It looks nice, I just hope that it won’t be easy to steal. You can pre-order Nest Cam Outdoor today at the links below. Nest says to expect cameras to ship in 11-12 weeks.